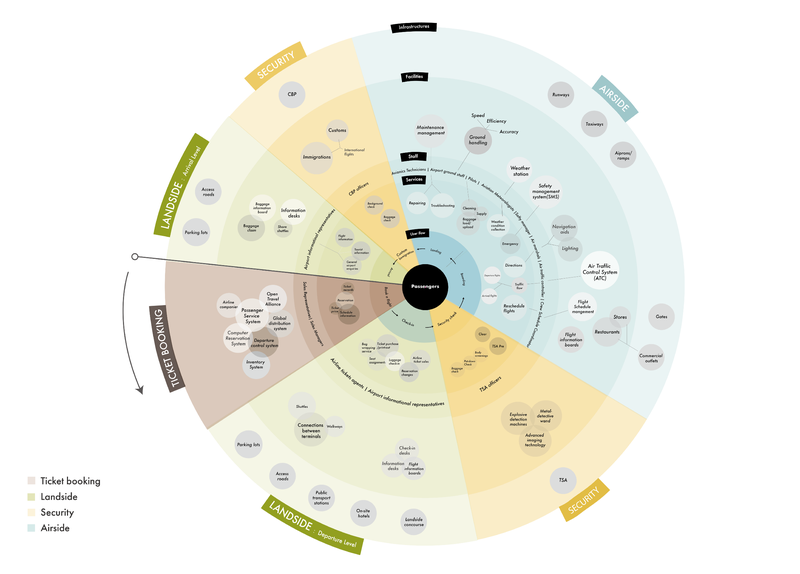 Understand the complexity of one of the given systems: transportation, water, food, housing and education, then develop a solution that could affect change in the systems. It is a 5-week (2018 Spring) group project in the System course taught by Erin Malone. We did this project right after spring break. Since the memories of bad air travel experience were still fresh in our minds, we picked air travel as the system we would like to solve. At the beginning, we went to San Francisco International Airport(SFO) to observe the surroundings and identify existing problems. 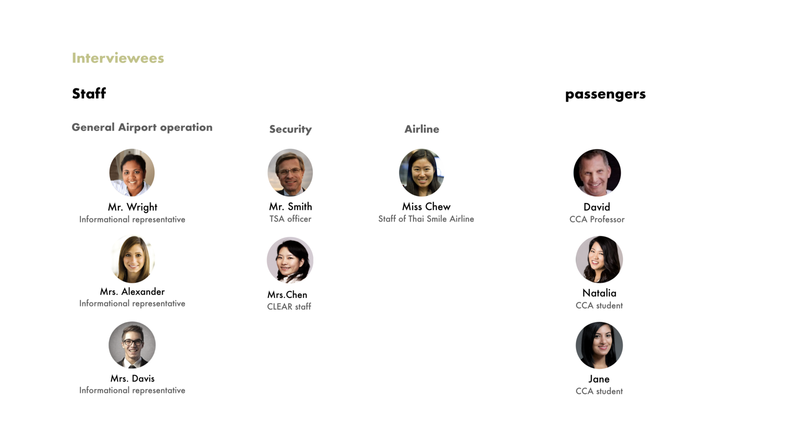 We interviewed staff from different departments to understand how each department merges into the system of air travel. The we interviewed air travel passengers to discover their pain points and turned them into insights. When our interviewees told us going through security clearance was their biggest nuisance, we did more secondary research. While doing research, we organized the information into different maps. 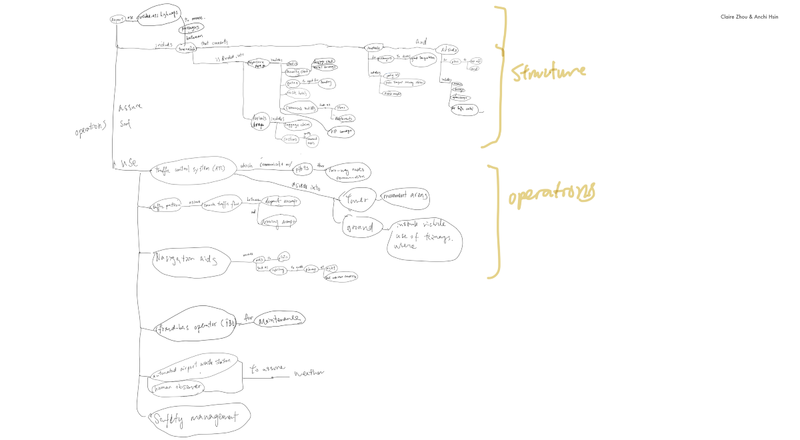 Since concept map was the base for creating other systems models, we struggled with it the most. The information at first was all over the place until we mapped it out and found out the core logic (sentence), which was composed by many categories (nouns). Then we tried to make rest of the information follow the core logic. 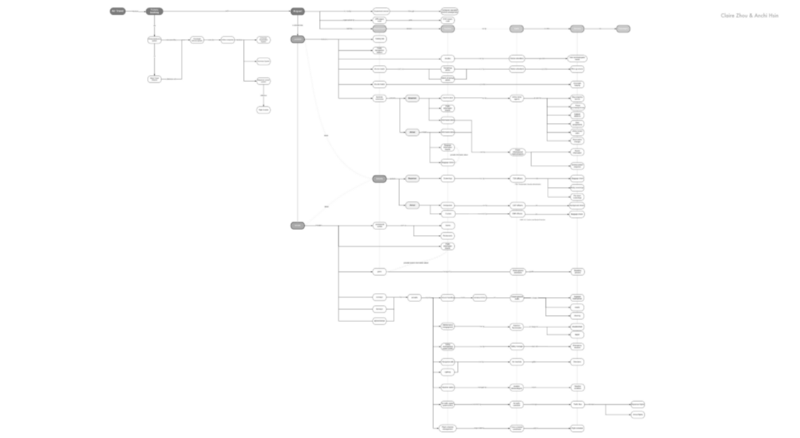 In order to do so, we cut out unrelated information and tried to make every component fall under a core category. We mainly focused on the structures of the airport because it was the most direct physical system that passenger experience. 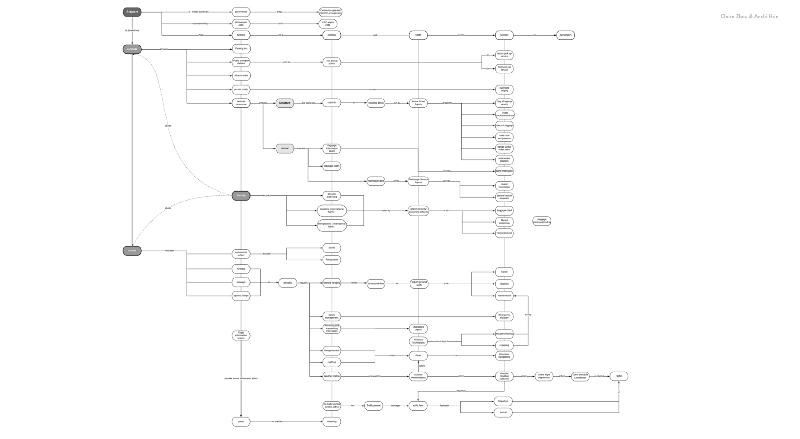 The concept map follow the core logic. The information is both connected from left to right and from up to down. Different colors indicate different locations in the airport. 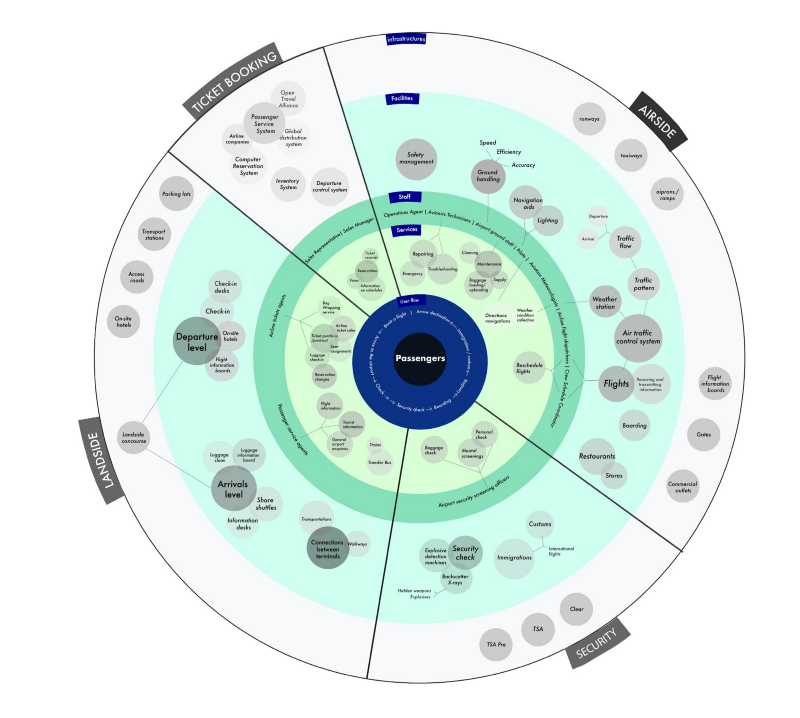 While we already contained the information we wanted in the concept map, the challenge for the ecosystem map was to show the similar content but with a different focus. 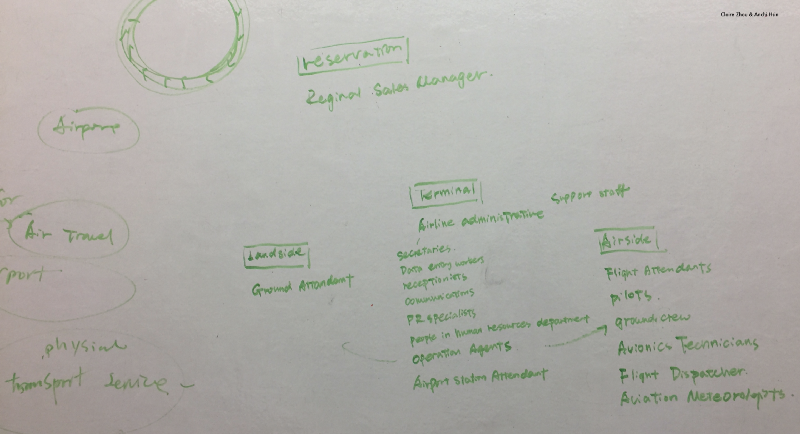 Since the goal of ecosystem map was to show the board picture of the system, it made me think of the organism(cell, tissue, organ, organ system…) lesson we all took before in bio class. 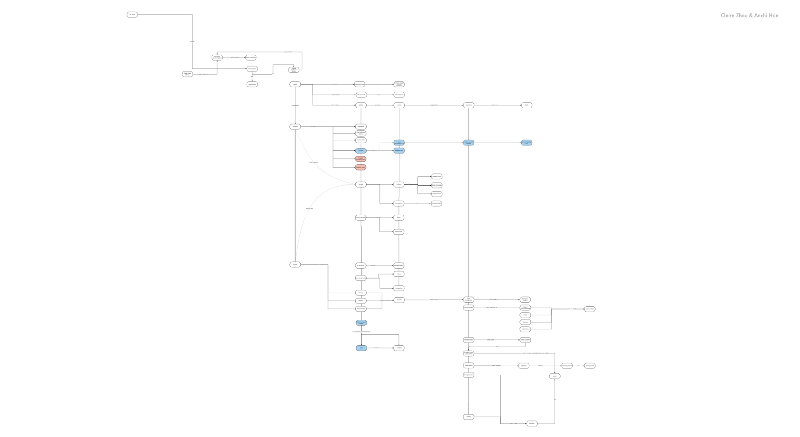 Just like the ways our bodies are composed, we wanted to organize the information with layers upon layers, from small component to the system. 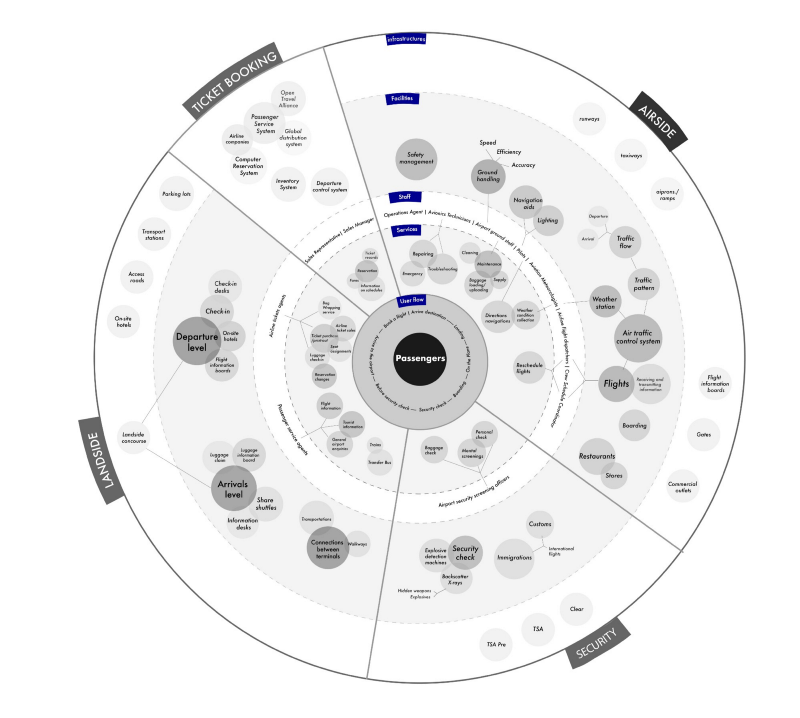 We later figured that the spread-out-circle model might be the best fit for indicating the relationships between individual and the system. Also, its round shape could indicates directions, which represented the user flows that correspond with the physical systems. 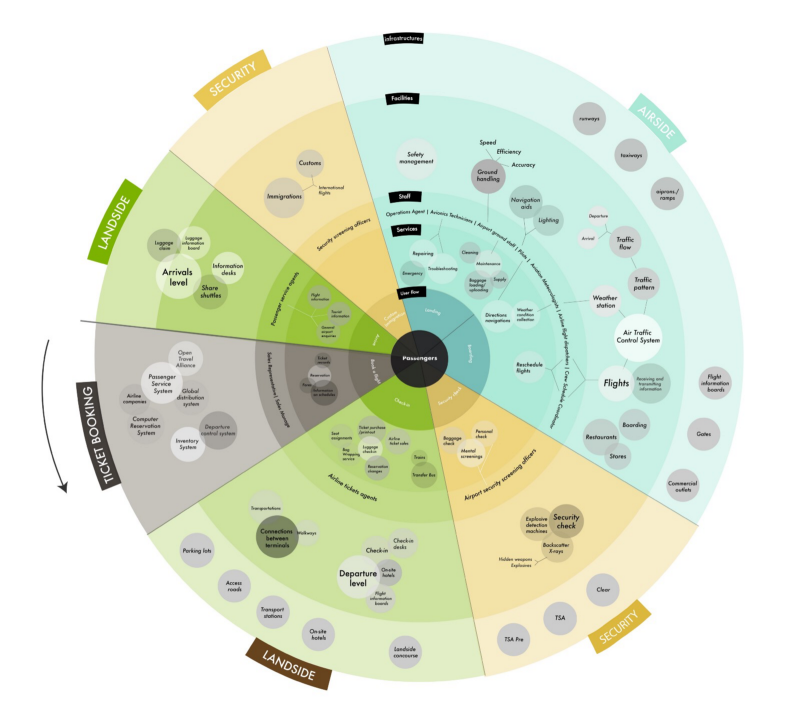 The layers of circle indicate different components from smallest to largest. The outside arrow indicates the user flow that correspond with the geographical locations of the system. 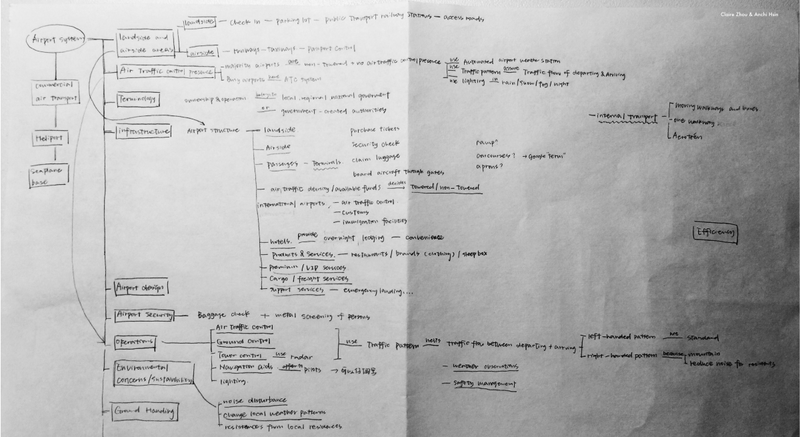 Building upon the foundation of concept map and ecosystem map, experience mapping was quite straight forward. 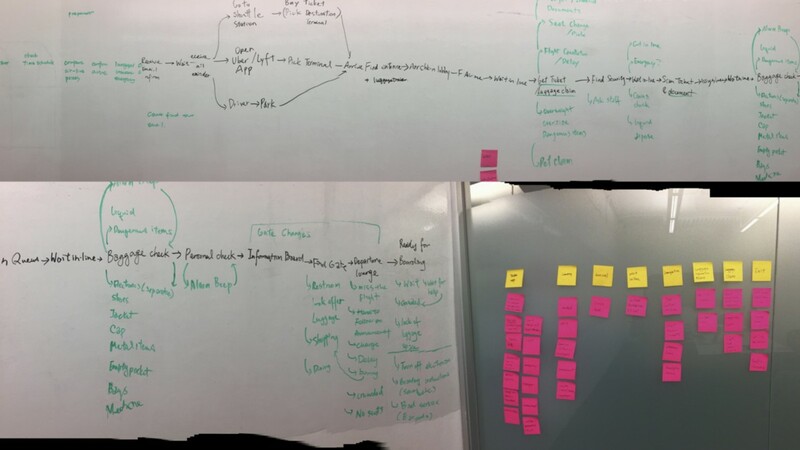 We brainstormed all the possible obstacles that a user would go through and turned them into a complete user flow. Among all the problems in air travel, our interviewees said that going through security was the biggest nuisance to them because of its long waiting time, tedious checking procedures, and bad staffs attitudes. 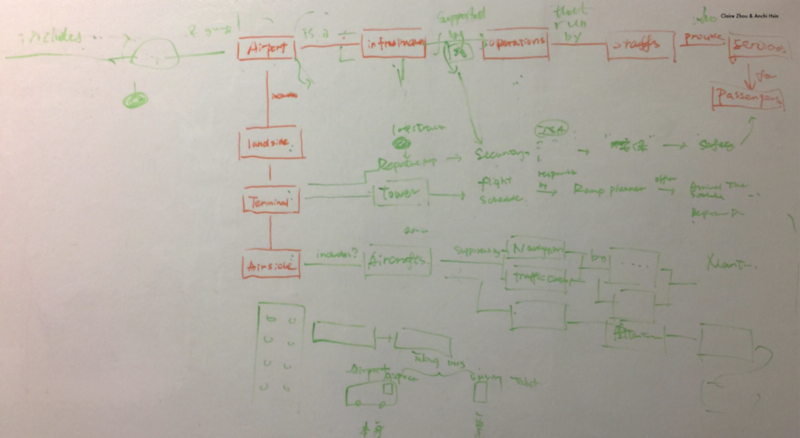 As a result, we decided to focus on the problems of security check. 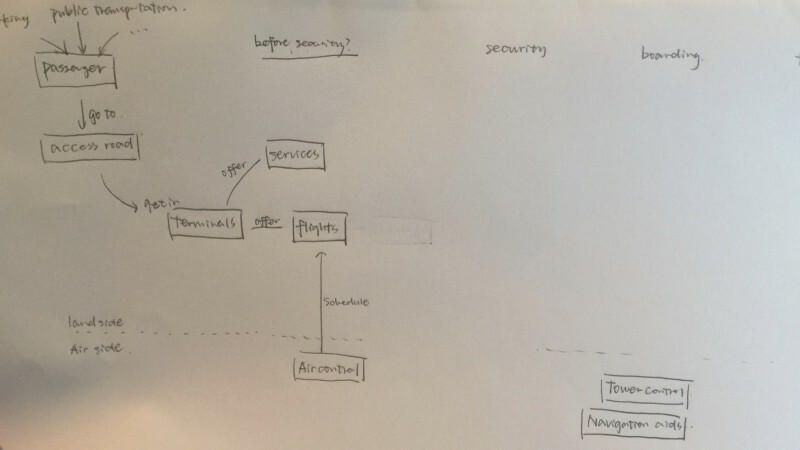 Due to national security issues, most of the information about TSA is confidential (the TSA officer we interviewed didn’t tell us how the TSA system works). 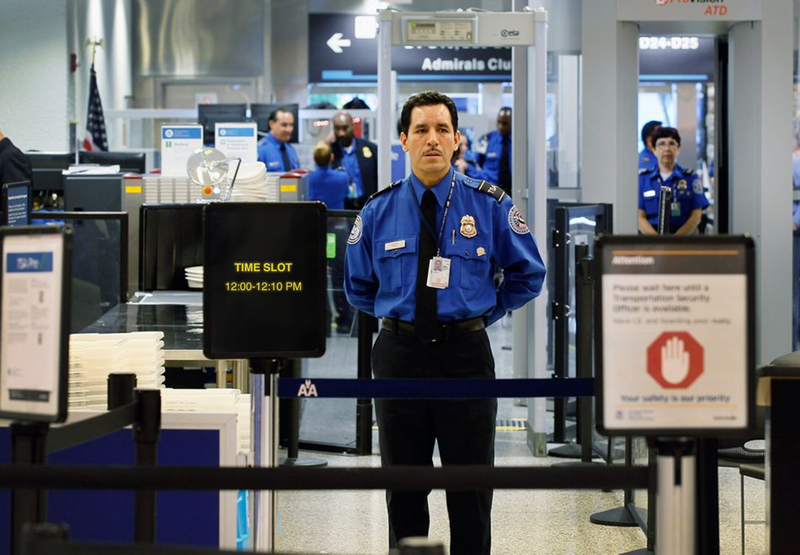 Under the constraints — we can’t change TSA checking procedures and rules (at least for this project), we can only change some components of the existing system. The findings were very interesting to us because we discovered that problems were mostly caused by misunderstandings between staffs and passengers. While the air travel system was unfriendly to passengers, they got confused and stressed, which caused them to perform worse. While passengers failed to behave correctly, staffs lost impatience and got mad, which made the travel system even more unfriendly to the passengers. 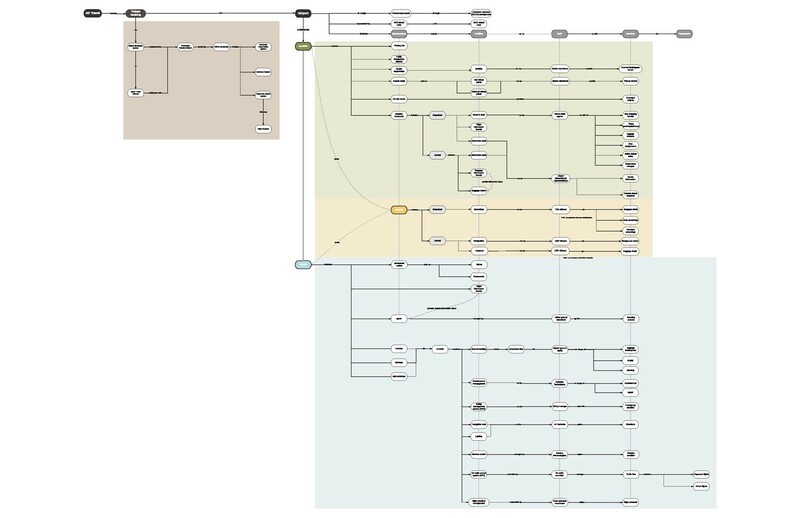 Our findings are summarized into a reinforcing loop that shows how the vicious cycle is created. Based on our research, we found passengers would be best served by education beforehand. A lot of dissatisfaction was because passengers didn’t follow the rules, staff got more impatient, which made passengers feel disrespected. 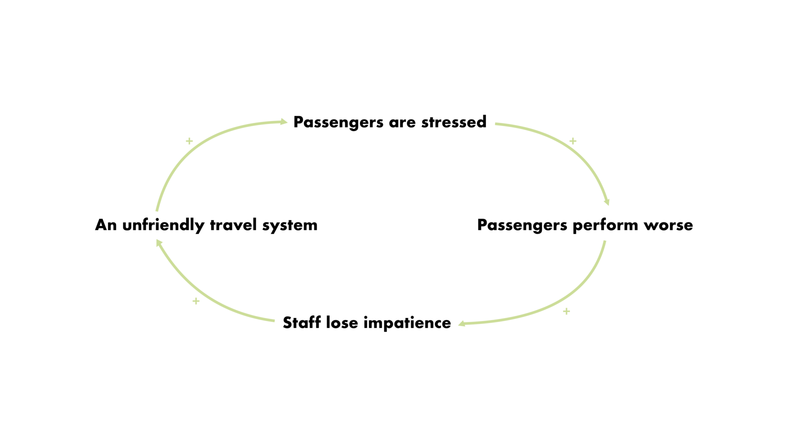 So, we have to help passengers perform smoothly to decrease waiting time. As passengers perform correctly and faster, the staffs’ attitudes increase, which will increase passenger’s positive emotions and enhance the overall experience. 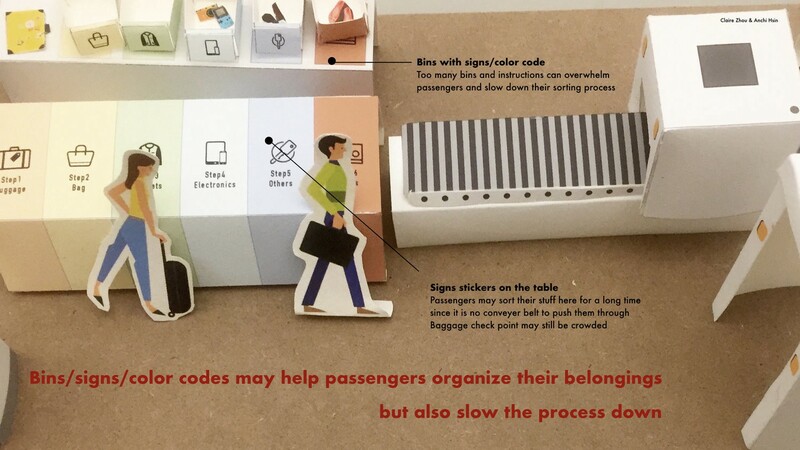 How might we educate passengers required procedures beforehand and guide them along the way to help them perform correctly in security check, which will increase efficiency and their positive emotions? 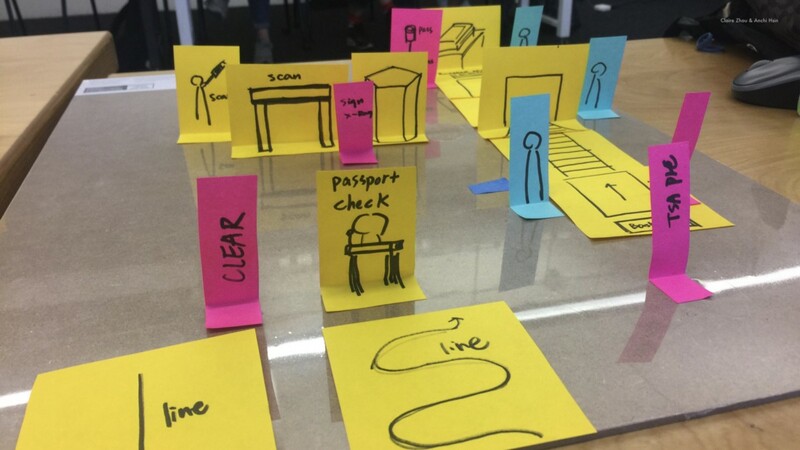 we brainstormed lots of ideas that can increase experience at security checking point then picked two of the most promised ones to create physical prototype models. At first, we thought putting signs on tables and bins at the clearance checkpoint can guide passengers to organize their baggage correctly. However, after we showed our prototype to passengers and receive feedback, we found that it might even slow the clearance process down. 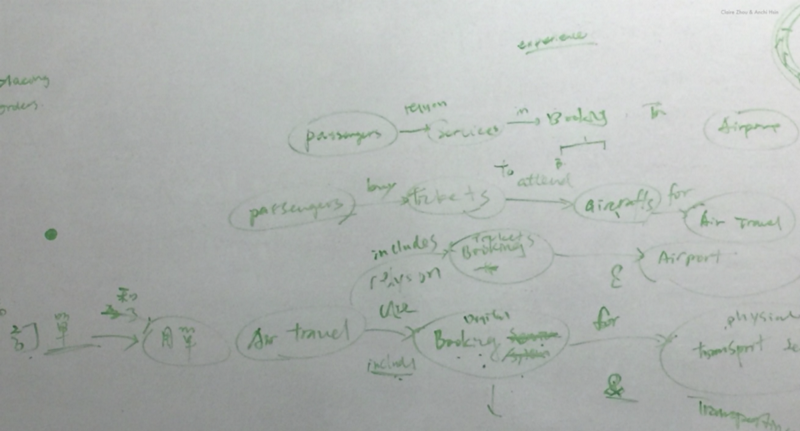 Then, we thought of another solution — giving every passenger a cart for them to sort their baggages in the waiting lines. 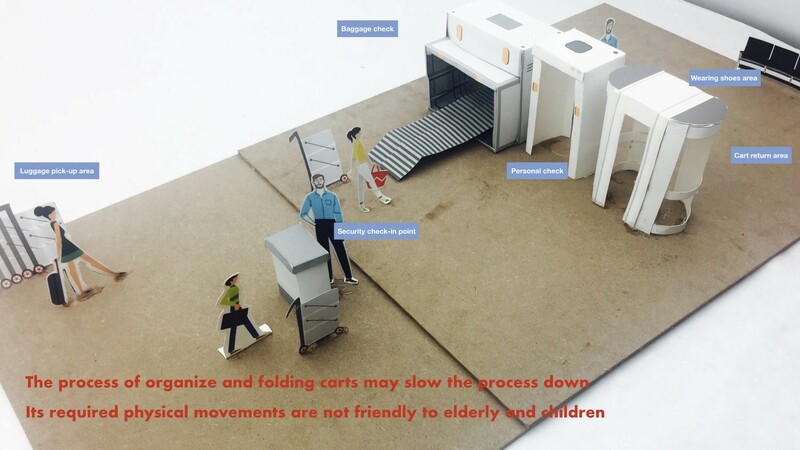 When it’s their turn, they will flatten the cart to make items not overlap (the x-ray baggage check machine requires items to not be overlapped with each other). However, it not only may still slow the process down, but also isn’t friendly to elderly and children. 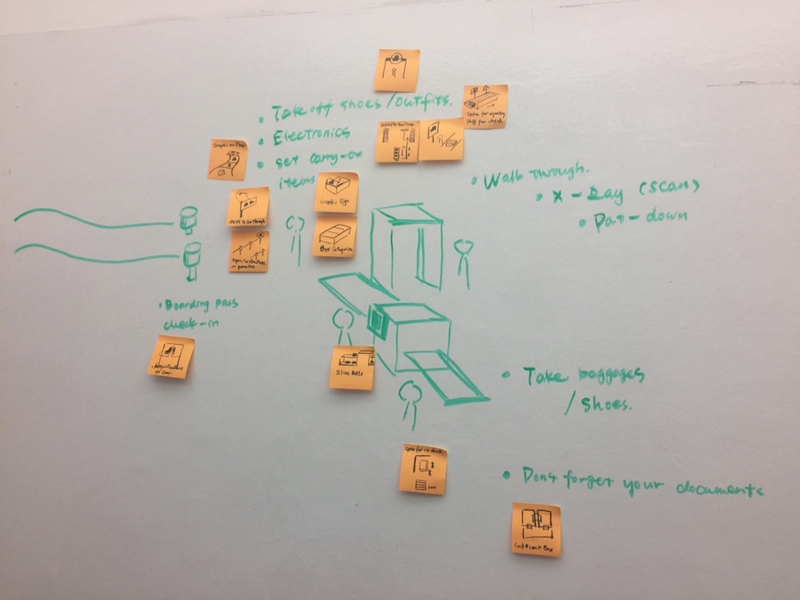 Since changing physical facilities was causing as many problems as it solved, we instead aimed to come up with smaller-scale solutions that may still affect changes. 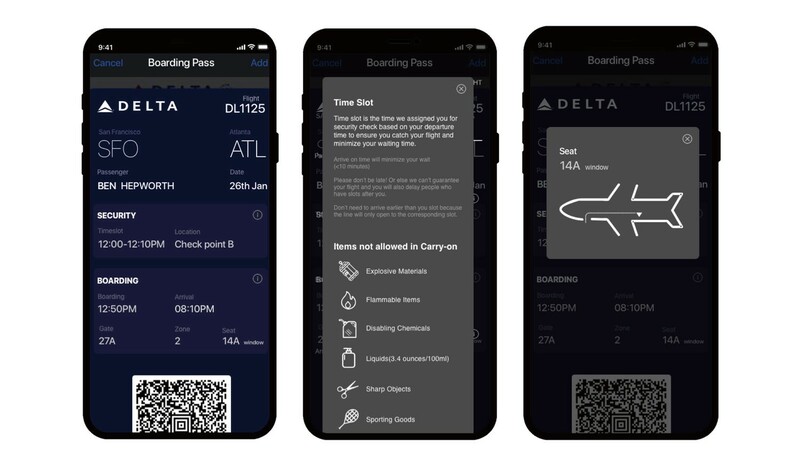 As we did more research on existing products related to airport experiences, the TSA app made us realize that peak time, based on flight departure time, also caused long waiting times. TSA APP shows the average waiting time for different time slots. If passengers don’t want to miss their flights, they need to constantly check the app to avoid peak times. It shows useful information but still doesn’t solve the problem. 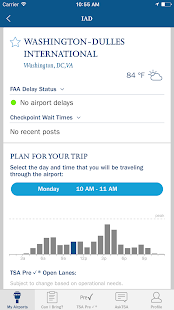 Even though TSA app didn’t solve the problem, it made us realize that peak time that based on flights departure time also cause long waiting time. To shorten the waiting time, not only we should help passengers perform correctly, but also helped them to avoid peak time. 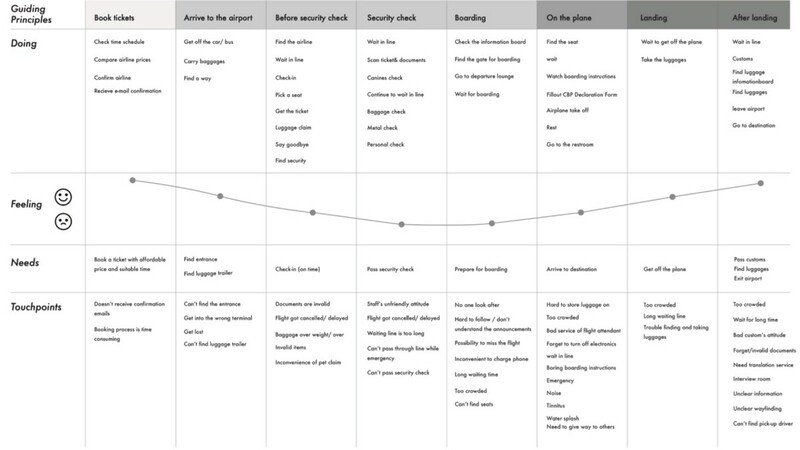 How might we increase passengers’ efficiency and their positive emotions by educating passengers about the required procedures beforehand, and guide them along the way to help them perform correctly at a security check? how might we help passengers avoid peak time to shorten the waiting time at security checkpoints? Inspired by the app, we thought of the queue management/calling system used by restaurants and amusement parks. The system assigns people a number/slot and they only need to show up when their time is called. We applied the same idea here — based on passengers’ departure time, the algorithm would assign them particular time slots that would minimize their waiting time and guarantee they catch their flights. Instead of arriving early to avoid missing the flight, passengers would only need to show up at the security checkpoints at their time slots. We had several ways to inform passengers of their assigned time slots and baggage security instructions. 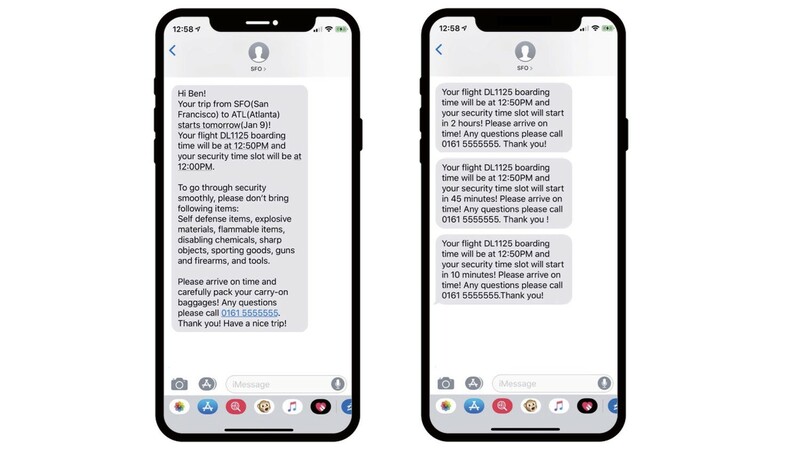 A day before passengers take off, we will text them messages about their assigned time slot and checkpoint location for security, as well as carry-on baggage security instructions so they are able to double check their luggage (your heart will definitely hurt when you are required to throw away a very expensive liquid at the clearance checkpoint). 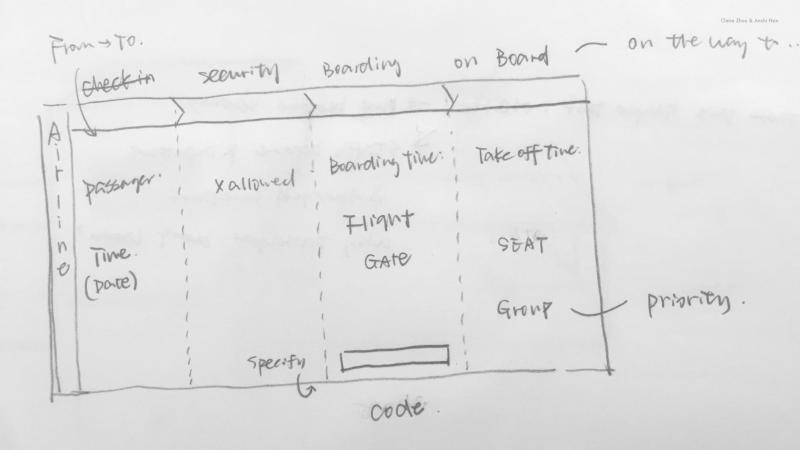 Also, we put information on boarding passes because they are interfaces that passengers directly encounter in the first place (reference：https://uxplanet.org/while-i-was-redesigning-a-boarding-pass-paper-got-old-eda92055dd29). 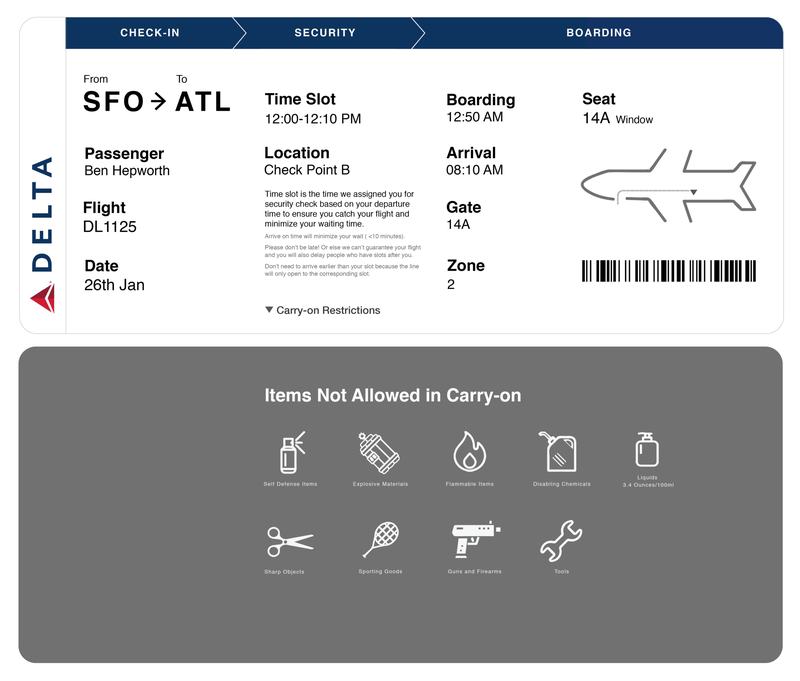 Our boarding pass, both physical and digital, not only would inform passengers their assigned time slots, security checkpoint locations, and baggage restrictions, but also smoothen passengers’ travel process by categorizing the information into different travel stages. We reorganized the information into 3 travel stages based on location. Under the security section, we listed the assigned time slot and checkpoint location again, as well as the carry-on restrictions at the back. Similar with the physical boarding pass, the digital version also categorizes information into 3 travel stages: general information (on the paper boarding pass, this information is sectioned under “Check-in”, but passengers who use digital boarding pass don’t need to go through check-in process), security, and boarding. Passengers can tap info icons to learn more details. We also show the current time slots at screens and signs at the security checkpoint. When passengers arrive at their assigned time slot and see their slot is announced, they can go through security without the long wait. What are the logistics of our “Time Slot” system if it got implemented in airports? 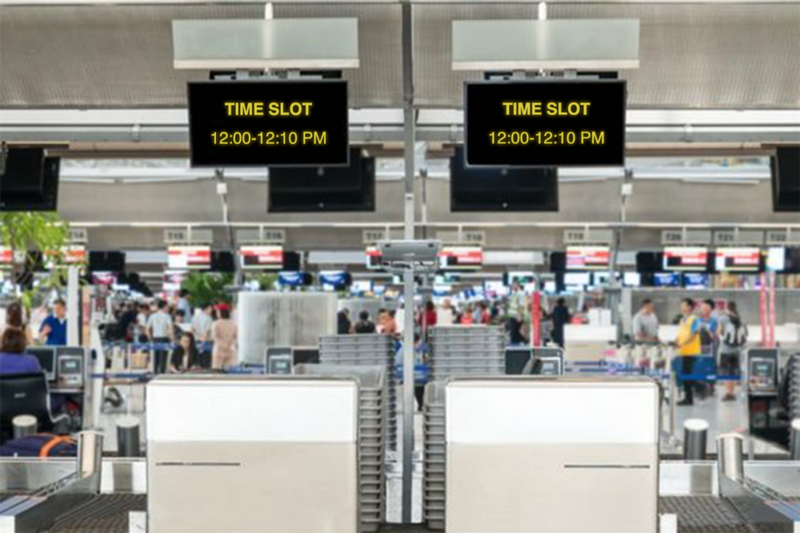 Even though queue management system is proven to be a success in restaurants and amusement parks, can it actually be implemented in airports where the system is much more complex and unpredictable? While our system assigns passengers their security time slot based on their flight departure time, flights can be delayed for millions of reasons and there isn’t a solution that has alleviated all problems yet. 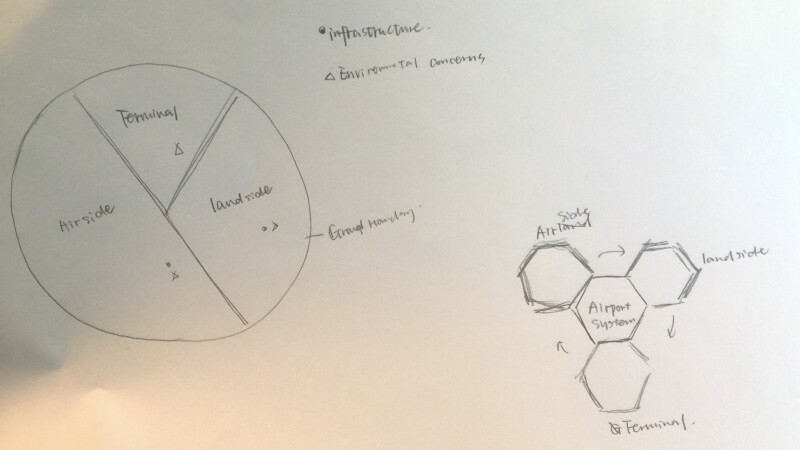 In the future, we would like to do more research on how airports manage their flights. 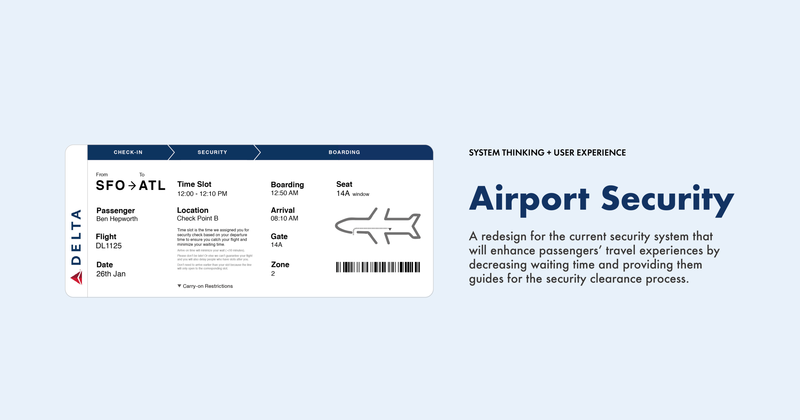 Who will benefit from our redesign system besides passengers? 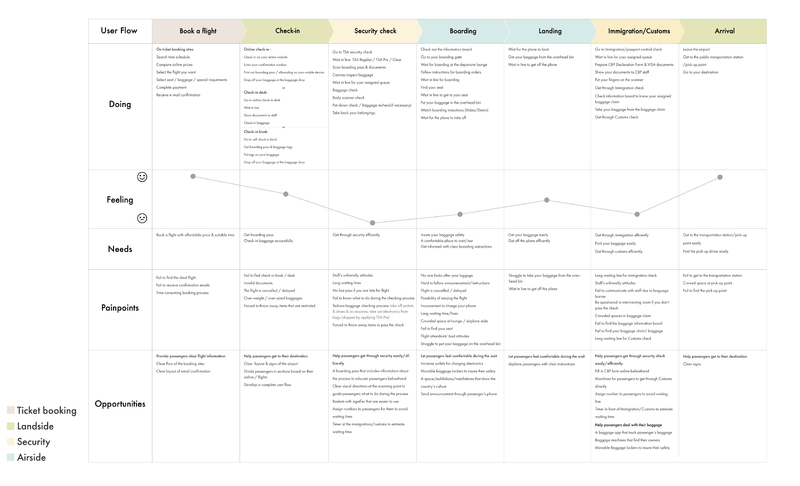 Even though we did interviews with staff in SFO, TSA security, and airlines, the project is mostly generated from customers’ perspectives. Further research is needed to to know if business and companies will be benefit from our redesign system and be willing to adopt it. This project required a lot of work in a very limited amount of time. 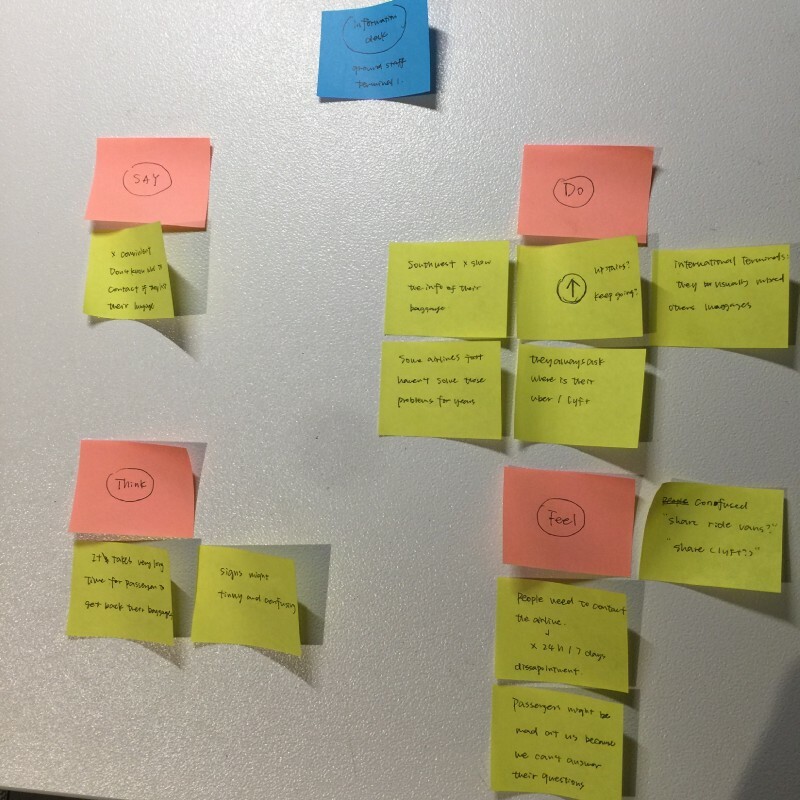 While going through design methods and process so intensively, I truly realized how important each process is, how they connect to each other, and how they eventually influence and contribute to our work. 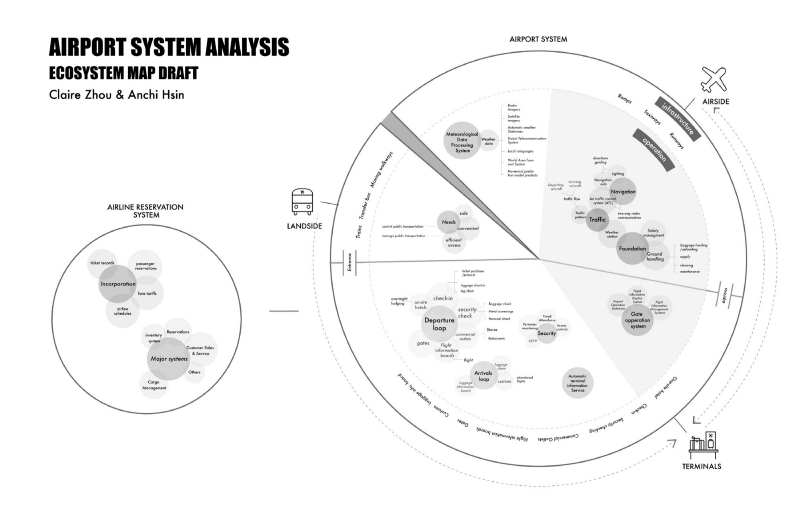 From the beginning, diagrams helped us understand the overall system, which provided clearer directions when doing primary and secondary research. The insights from research helped us develop our “how might we” statement, which further inspired brainstorm solutions. Since this is the first time we attempt to solve a systematic problem, which is really broad, we tended to think that only creating another large-scale system would be effective. 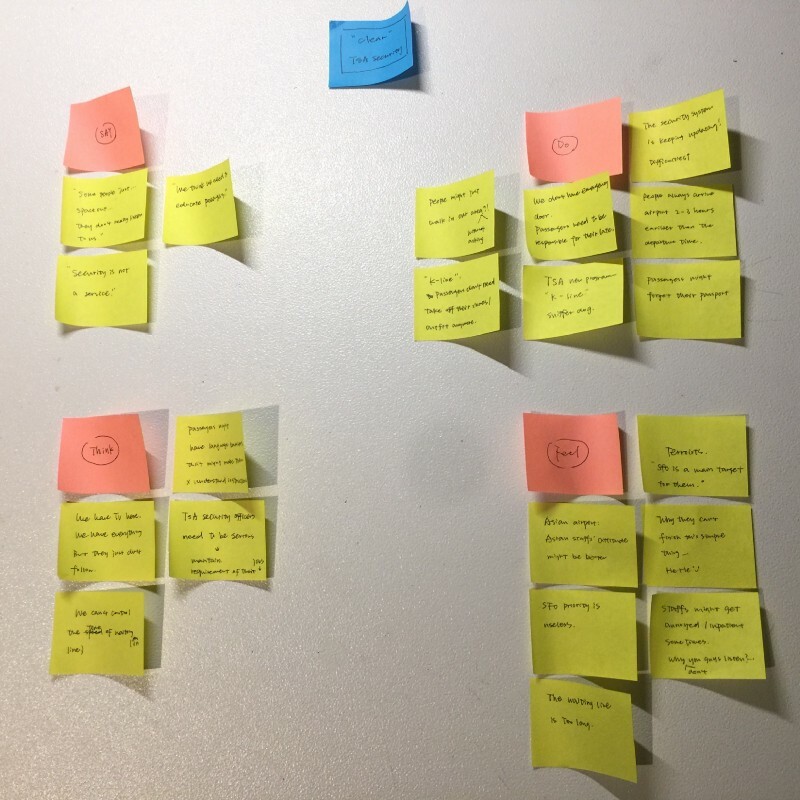 However, after doing prototypes and receiving feedback, we suddenly realized that we overthought and over-complicated the situation. Later, inspired from the existing line waiting systems in restaurants, I realized that a true good design can be simple. In fact, a simple design decision can contribute to meaningful impacts. Echoing the topic of the project, effecting change in complex systems, I believe that everyone can execute their power to solve any systemic problem. No matter how minor our power may seem, we should keep trying and never lose hope. 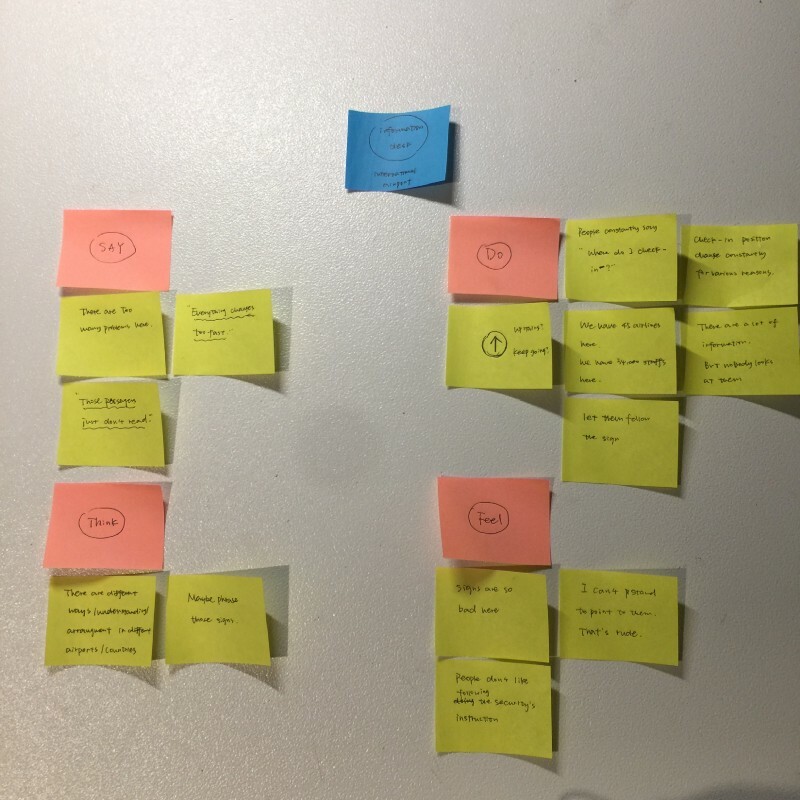 A creative playground to document my process, struggles, and thoughts.